You’re probably manipulating Debian packages everyday, but do you know what those files are? This article will show you their bowels… Surely they are more than file archives otherwise we would just use TAR archives (you know those files ending with .tar.gz). Let’s have a look! 1. It’s two TAR file archives in an AR file archive! debian-binary is a text file indicating the version of the format of the .deb file, the current version is “2.0”. data.tar.gz contains the real files of the package, the content of that archive gets installed in your root directory when you run “dpkg --unpack“. But the most interesting part—which truly makes .deb files more than a file archive—is the last file. control.tar.gz contains meta-information used by the package manager. What are they? The control file within the control.tar.gz archive is the most fundamental file. It contains basic information about the package like its name, its version, its description, the architecture it runs on, who is maintaining it and so on. It also contains dependency fields so that the package manager can ensure that everything needed by the package is installed before-hand. If you want to learn more about those fields, you can check Binary control files in the Debian Policy. Those information end up in /var/lib/dpkg/status once the package is installed. Note that this description is largely simplified. In fact the scripts are executed on many other occasions with different parameters. 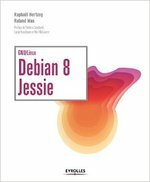 There’s an entire chapter of the Debian Policy dedicated to this topic. But you might find this wiki page easier to grasp: http://wiki.debian.org/MaintainerScripts. While this looks scary, it’s a very important feature. It’s required to cope with non-backwards compatible upgrades, to provide automatic configuration, to create system users on the fly, etc. Unpacking a file archive overwrites the previous version of the files. This is the desired behavior when you upgrade a package, except for configuration files. You prefer not to loose your customizations, don’t you? That’s why packages can list configuration files in the conffiles file provided by control.tar.gz. That way dpkg will deal with them in a special way. Once installed, those files are kept by dpkg in /var/lib/dpkg/info/package. * along with maintainer scripts. A conffile is a configuration file managed by dpkg, I’m sure you remember the introductory article about conffiles. When your package stops providing a conffile, the file stays on disk and it’s recorded as obsolete by the package manager. It’s only removed during purge. If you want the file to go away, you have to remove it yourself within your package’s configuration scripts. You will now learn how to do this right. dpkg errs on the side of safety by not removing the file until purge but in most cases it’s best to remove it sooner so as to not confuse the user. 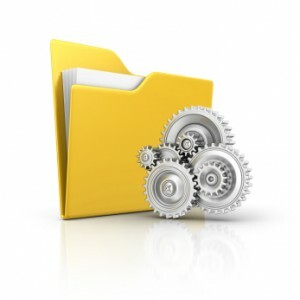 In some cases, it’s even required because keeping the file could break the software (for example if the file is in a .d configuration directory, and if it contains directives that are either no longer supported by the new version or in conflict with other new configuration files). So you want to remove the conffile. Adding an “rm” command in debian/postinst sounds easy. Except it’s not the right thing to do. The conffile might contain customizations made by the administrator and you don’t want to wipe those. Instead you want to keep the file around so that he can get his changes back and do whatever is required with those. The correct action is thus to move the file away in the prerm, to ensure it doesn’t disturb the new version. At the same time, you need to verify whether the conffile has been modified by the administrator and remember it for later. In the postinst, you need to remove the file if it’s unmodified, or keep it under a different name that doesn’t interfere with the software. In many cases adding a simple .dpkg-bak suffix is enough. For instance, run-parts ignore files that contain a dot, and many other software are configured to only include files with a certain extension—say *.conf. In the postrm, you have to remove the obsolete conffiles that were kept due to local changes and you should also restore the original conffile in case the upgrade obsoleting the conffile is aborted. dpkg-maintscript-helper rm_conffile /etc/foo/conf.d/bar 1.2-1 -- "$@"
debhelper makes it easy to inject those commands for you. You can provide debian/*.maintscript files. See dh_installdeb’s manual page for details. I hope you found this article helpful. You can follow me on Identi.ca, Twitter and Facebook.